→What are survey sites and how to earn from surveys? Surveys are a sequential set of questions that might be about a product or service (usually 10 – 15 questions). Those questions were framed in need to collect reviews and suggestions about a product or service from the people and are conducted via survey panels. Let us say for an example, we are all using Samsung smartphones. Samsung Company never stopped updating their models or renovating their existing models and these can be done only by continuous research and development. Most interesting thing for a successful product in the market is the one that satisfies the customer needs. To get that valuable feedback’s from the customers, the only possible way is to conduct online surveys and collect their feedback’s and suggestions from those customers and use them for their product improvements. In this case, Samsung Company cannot come directly into the market to meet the customers to get them their feedback. to conduct online surveys on their behalf. These survey sites will conduct surveys and submit them the reviews. For this work, they will charge some fee. After getting the survey project from the Samsung Company, these survey sites prepare everything to conduct surveys and invite people like us via email to attend those surveys to answer them. On successful completion, we will be rewarded either with cash or Gift vouchers. Survey portals are the internet sites that have a huge database of different kinds of people from all over the world. Their main work is to conduct online surveys from time to time on behalf of many multinational companies. In this case, I described Samsung Company. The above said Samsung Company was in a position to improve or create a new product, so before beginning, they want to know customer requirements in their new project. They can’t come into this market directly so they will contact these survey sites to conduct an online survey. These survey sites are having huge numbers of member database and so it is easy to get customer feedback from huge members with-in short period and they are ready to spend millions of dollars to know the customer feedback and suggestions. These survey sites will conduct online surveys on their behalf and will invite us through Email to attend the survey. Upon the successful completion of the survey, we will be rewarded either with cash or gift vouchers. To participate in these jobs, we have to register a free account with those survey sites to gain the opportunity to attend surveys from the companies. WHY COMPANIES PAY FOR PARTICIPATING IN SURVEYS? Customer satisfaction is the only thing for a successful product in any market and these marketing companies need to develop a product based on customer suggestions. So this is possible through conducting a survey, but these marketing companies cannot conduct surveys directly though they are ready to pay billions of dollars to these surveys. They seek help from survey sites to conduct online surveys on their behalf. These surveys sites will charge some fee for this work and those fees will be given as rewards for the people who successfully completed the survey. People like us will not participate in surveys for free so these survey sites constructed a plan like offering cash or points or even gift vouchers as rewards for people like us for attending or participating in those online surveys. Usually, survey sites pay between $1 – $10 per survey and length of the survey will be for about 5 – 10Minutes. If survey takes more time than the pay rate will be more proportionately. HOW TO EARN FROM SURVEYS? 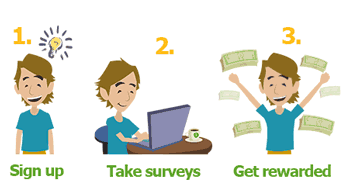 We can make some money easily by attending online surveys. Free to join and can do anytime, anywhere. To earn money, you need to register a free account with survey sites. After registration, complete your profile surveys related to your personal, professional, academic, travel experience, technology etc and so and so. Update profile surveys frequently to get more survey invitations. Sit back and watch your email time to time for Survey invitation. Survey sites usually invite people to attend their survey by sending an email invitation. You will be invited only if your profile matches the requirements asked from the multinational company to the survey sites. Once your profile doesn’t match you won’t be invited. If you have not used any smart-phones until today, probably you may answer NO to the questions related to smartphones and its technology in your profile. If this is the case, you won’t get the invitation from survey sites for surveys related to Samsung Company. Never Be Smart, so don’t try to trick to answer YES to those questions to get survey invitations. Because before you enter into actual survey questions, you will be asked to answer few preliminary questions to check your eligibility to attend the surveys, all your answers will be monitored in real time and you will be disqualified to attend the survey if that doesn’t match your profile already you completed or doesn’t meet the requirements demanded by the marketing company. Register more survey sites to earn more. Try registering your country portal sites rather than all portals because if you are from India and registered with US portal site, you won’t get survey invitation at all. Because those survey sites usually check the people are from the US before attending the survey. Complete your profile related surveys at the same day of registration. Update your profile related surveys at least once in every week. Some survey sites usually target customers who using smartphones, so download and install the app if available with the survey site you registered. People from the USA will get more survey opportunity than other countries in the world. India ranked next to the USA for survey companies to target for. People working in IT and having knowledge in software/hardware will get more survey opportunities. Some survey sites do formulate referral incentive program. Referrals are those people like us but they joined to these survey sites using our referral link and not directly. Referring other people is one of the best ways to increase earnings in survey sites. Survey sites will pay a part of the commission to you if your referrals successfully completed a survey and you will get referral commission for the lifetime. As explained earlier, survey sites usually offer incentives as Gift vouchers for completing surveys. Some sites reward us with points with the minimum threshold to withdraw, and once you reached you can either withdraw as cash via PayPal or Payza and also can be redeemed as Gift Vouchers for Amazon, eBay etc. Some sites reward only with Gift vouchers which can be used to buy any stuff from online stores. It is completely up to you to choose whether to attend the survey or not. Some Indian based survey sites will pay you via Cheque that can be deposited directly into your local bank but it usually takes 10 -15 days to complete the transaction process. Confirm the payment option before joining any survey panel. Join survey sites that are available in your country. Surveys usually take some time and you need to be genuine while attending the survey. Complete and update your profile related surveys in your account. Use referral program if available and earn more. All survey sites are free to register and never join sites that require the registration fee. Prefer surveys related to your profile otherwise, it will be boring. WorthyShout Survey Company Founded by Sridhar Mani from India since 2013 was one of the best-reputed marketing research companies in South India with services across the world. Cinchbucks.com is the one of the world’s growing popular online reward program that gives you free gift cards and cash for doing tasks and offers. 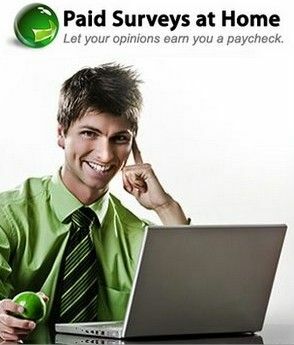 You can earn money by attending online surveys from Samplicio, Cint, Toluna. Register them for free to start earning cinch bucks anc convert 100CB to $1 USD. Get paid via PayPal also. Clixsense Of course, no words to say about this Queen of PTC have embedded with them providing more earning opportunities to their members. Paid Polls and Surveys: A branch from Worthy Shout market research especially targeting Indian customers launched since 2016. Running successfully by providing timely payments to their members since start up. Free to register, open to all Indians to earn some extra money during their spare time. Banking Consumer Surveys: Banking Consumer Surveys (BCS): Another brand portal from Worthy Shout Inc., particularly dedicated to the people in the area of Finances and Managements sector.